Angela Carter is another author I formed a lasting relationship with after a first meeting in the library. It was the library in my home town, not too long after I advanced from the children’s shelves, up the steps, past the huge machines that scanned outgoing books, and into the main body of the library. I spotted a book named ‘The Magic Toyshop’ on a paperback carousel. What was such a thing doing on the shelves for grown-ups? And why did it have a dark green cover, that looked like a classic, but not the sort of classic I had ever seen before? I picked the book up, and my life as a reader changed forever. I had discovered Angela Carter – and I had discovered Virago Modern Classics! The book was extraordinary, full to bursting point with rich prose and extraordinary ideas, and it was like nothing else i had ever read before. I found that Angela Carter had written an extraordinary range of novels and short stories. That she had edited wonderful anthologies. That she had written analysis and criticism too. I didn’t love everything, but many of her books would be in contention if I were to ever pack for a desert island. Nights at the Circus. The Bloody Chamber. Love. The Magic Toyshop. Wise Children. When she died – at just fifty-one in 1992 – I think it was the first time I mourned the loss of an author, and of so many wonderful things she might have written if only she had been granted just a little more time. Her literary executor did a wonderful job of pulling her story stories, her dramatic works and her other writings into collections, and publishers have done a grand job keeping most – if not all – of her work in print. But it wasn’t until I caught a glimpse of ‘A Card from Angela Carter’ in a catalogue that I realised that there had been no biographical work. I was thrilled that there was something at last. And that it had been written by Susannah Clapp, a close friend of Angela Carter, and her literary executor. But I must confess that when the book arrived I was rather disappointed. It was very beautiful – and beautiful in exactly the right way for its subject – but it was very small, it was rather thin, and many of those pages were filled by reproductions of those cards that Angela Carter sent. And I must confess that the book disappeared into a handbag for quite some time. I mistook it for a spare notebook and so it took up residence in a bag I rarely use. I’m trying not to feel too bad about it though, because I suspect that Angela Carter wasn’t the sort of woman who removed all of the contents from her bag and put them in their proper places when she arrived home either. Last week the book resurfaced and I carried on reading it. And once I had come to terms with the fact that it wasn’t the book I thought it was going to be I decided that I liked it for what it actually was: a personal memoir of a writer and a friend. The book is structured around a series of postcards that Susannah Clapp, a previous editor of the London Review of Books, received throughout her friendship with Angela Carter. 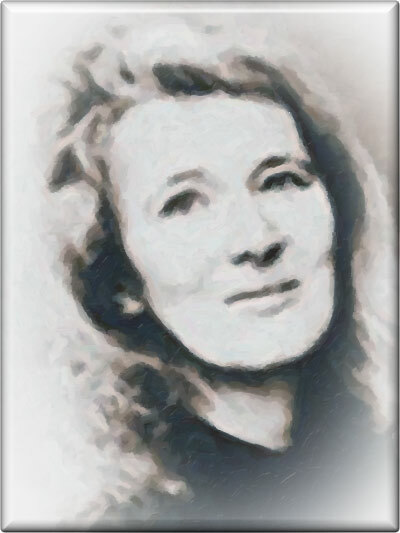 I couldn’t help but love Angela Carter all the more when I read that she told her literary executor that she could do absolutely anything with her work – even a ballet on ice – to support her boys – her husband and the son who was given to them late in life – except that she could not allow Michael Winner to use it. This isn’t the kind of book that offers chronologies, or bibliographies, or critical analysis. That will have to wait for the biography, which I believe is on its way. It offers something far more precious: a picture of a woman who was a friend and writer, that is intimate without ever being intrusive. And it reminded me why, twenty years ago, I found it hard to believe that an author who had been so very alive was dead. I had not heard of Angela Carter before…thanks for this post. I just requested Nights at the Circus and The Magic Toyshop from the library. Can’t wait to read them! What a lovely tribute to an author who changed your reading life, Jane. She did die far too young, didn’t she.